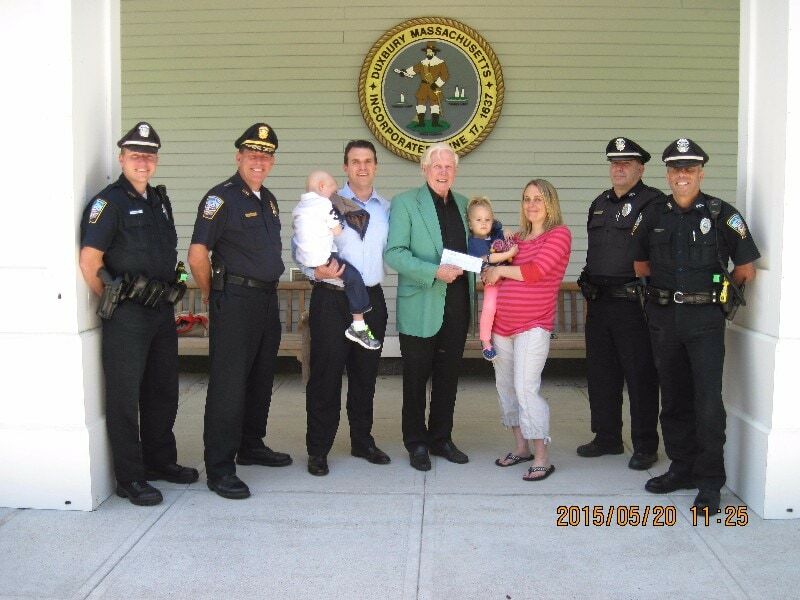 On April 20, 2015, Cops For Kids With Cancer went to the Duxbury Police Department and made a $5,000.00 to the family of Kevin Morrissey a 4 year old boy from Duxbury who has (ALL) Leukemia. In photo from left to right. Officer Andrew Homestead, Chief Matthew Clancy, Kevin, Father Kevin, Bob Faherty, Sister Reese, Mother Lauren, Officer Tim Wigmore, and Sgt. Brian Johnson.